In case you missed Part I of our quick glimpses of the decade’s most noteworthy fiction, you can check it out here. Zadie Smith’s first novel came out in the first month of the Aughts, and seemed to be an important, symbolic moment for literature at large. For one, it led critic James Wood to coin the term “hysterical realism,” a catch-all term for the kind of “big novel” Smith and many other young writers of this decade were writing. While the term was used pejoratively, it is an important indicator of the ambition of certain modern novelists. Smith’s novel traces two families through the entire second half of the century, covering World War II and the 1990s. The scope is an important theme, highlighting the grasp past events have on our modern lives, whether we like it or not. The novelistic memoir that propelled Eggers to full-on Voice of the Generation stature, A Heartbreaking Work of Staggering Genius does its best to live up to its name. Eggers manages to be meta without being condescending and to be funny without sacrificing poignancy. In crafting a deeply personal story that resonates universally, Eggers proved—for the first time—that he is a fascinating and compelling storyteller of the highest order. In addition to our Aught-themed Sunday Book Review, which we began last week, NPI is presenting a more general look at fiction of the decade in which we look quickly and some of the most significant works of literature published during this decade. This is Part I of a two-part series. 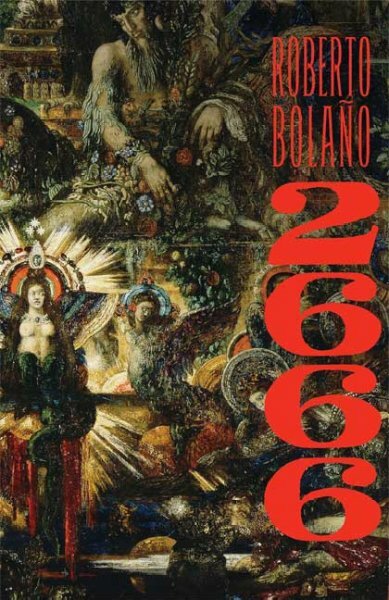 The epic of the Aughts (so long as we’re not counting The Wire), 2666 affords Bolaño the posthumous chance to opine on death in all its forms: from the corporeal to the metaphysical. His characters are deep even when they are fleeting, and his style (in Natasha Wimmer’s translation) ranges from florid to hard-boiled. In contemplating his own legacy, Bolaño pretty much ensured it. 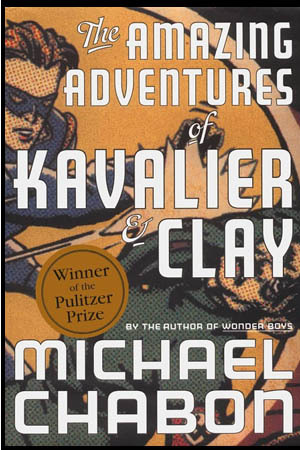 I’ve already expanded on my high opinion of Michael Chabon’s novel about the Golden Age of Comic Books; The Amazing Adventures of Kavalier & Clay presents a compelling portrait of what it’s like to create fantasies in an era of global turmoil—a particularly resonant story of the Aughts, even if Chabon’s novel came out in 2000. While he deals with themes like evil and fantasy, however, Chabon is adept at depicting a rich setting of New York City in the 1930s.